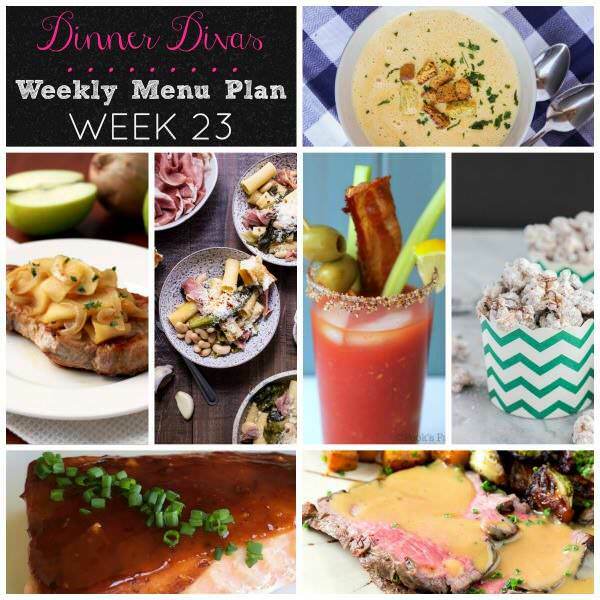 Weekly Menu Plan Week 23 is loaded with speedy 30 minute meals, easy slow cooker dinners, a whimsical dessert, and a cocktail to cap off the week. 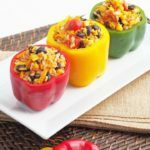 You won’t want to miss these delicious nibbles! Hey, y’all! How the heck are you? I hope that those of you in the hurricane regions are faring well with all of the crazy storms rolling through. My family and I have been praying for your safety! Here in northern Michigan, we’re experiencing a record heat wave, of all things! We’ve had more days in the 80’s-90’s in September than we did for the entire month of August. Weird, but true. I won’t complain about the heat, because last year at this time I was bundled up and braving soccer games on rainy, 50-60 degree days. I know those days are a-comin’, but I’ll happily soak up the extra Vitamin D from the sunshine while I can. 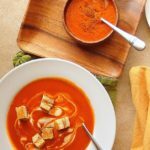 Just because the weather and the calendar aren’t in agreement doesn’t mean that I’m not craving All of the Fall Comfort Foods. 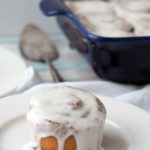 I’m so ready for apple cider, baked apple cinnamon donuts, and All of the Soup and Bread Recipes! Who’s with me?! 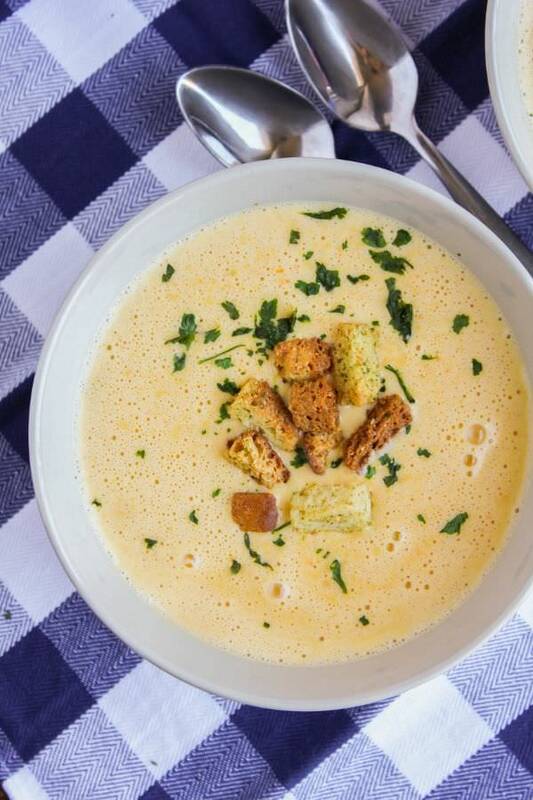 I can’t think of a better way to start the week than with a super comforting bowl of cheddar cheese soup. Well, maybe a super comforting bowl of Sarah/Chef Next Door’s Cheddar Beer Soup and a big hunk of crusty no need cheddar artisan bread. That’s some good stuff, right there. I’m looking forward to Monday, if only for the soup! 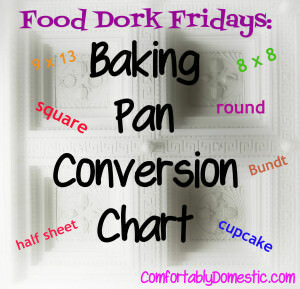 Cheryl/Pook’s Pantry understands the need for fast, easy, healthy, and inexpensive dinners. 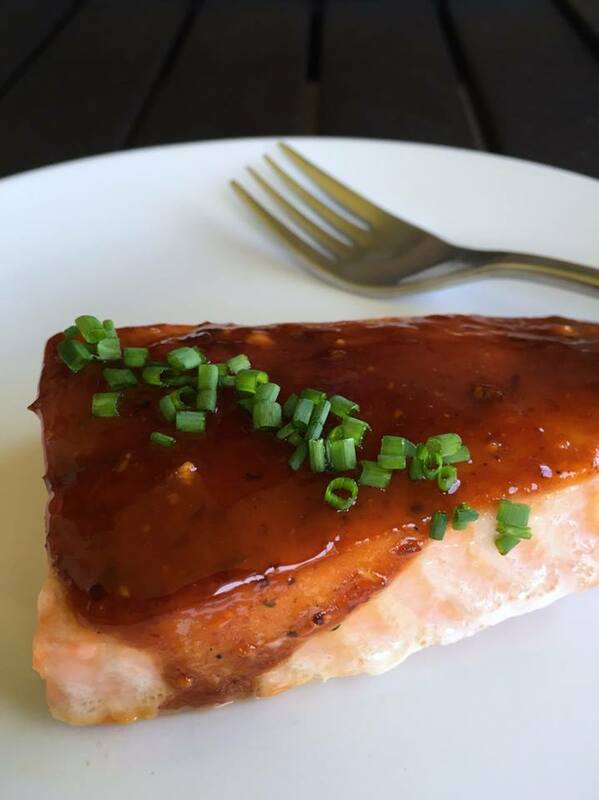 She checks all the boxes and more with her Honey Chipotle Salmon. The “more” is two-fold: 1) the sweet and spicy glaze is equally delicious on chicken, and 2) the recipe is made on a single half sheet pan, so clean up is minimal. Gotta love that! 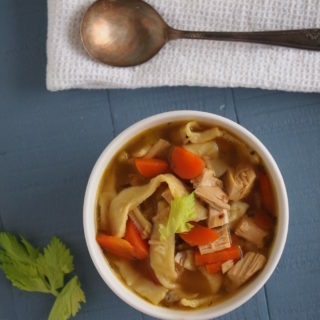 I’m breaking up the mid-week slump by serving up one of my all-time favorite dishes of Fall. 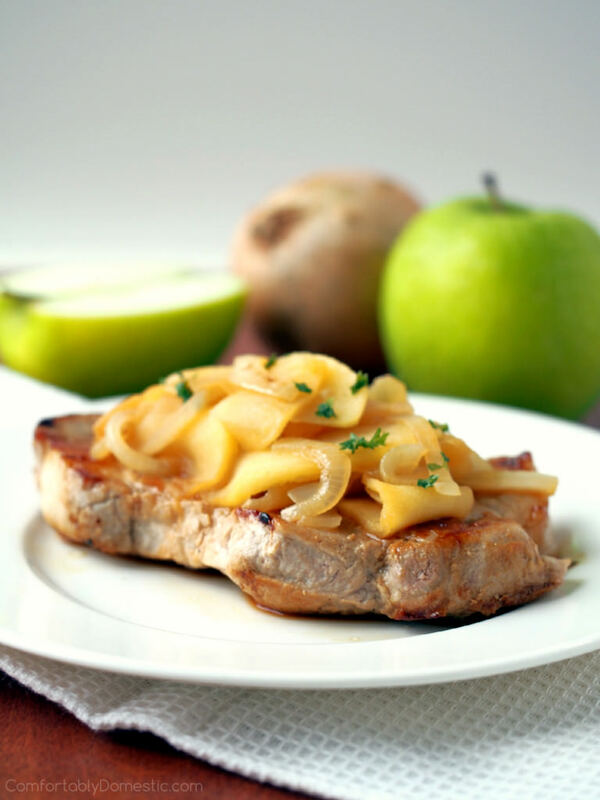 My Apple Cider Pork Chops are so easy and full of Fall flavor that I guarantee that the recipe will quickly make it into regular rotation. Who can resist tender boneless pork chops are all dressed up for the season? No one I want to know, that’s for sure. 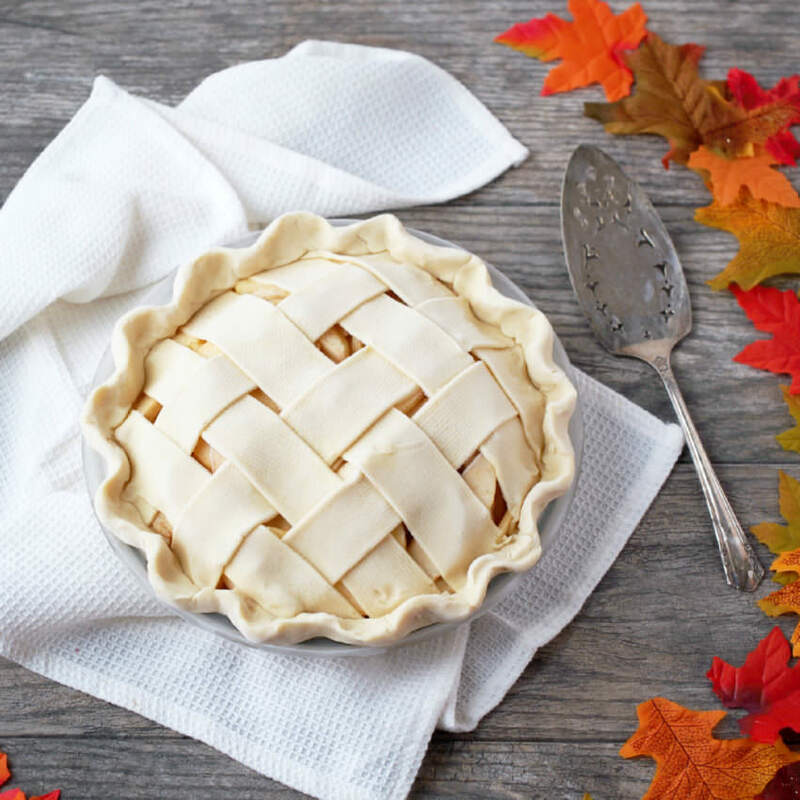 😉 The delicately spiced apple cider cooks down to a nice, syrupy glaze along with tart apples and tangy onions for the perfect balance of sweet, savory, tangy, and sweet. Lord have mercy on us all. Jenni/Pastry Chef Online whips up a simple Sweet and Spicy Grass Fed London Broil for Thursday. 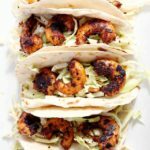 Jenni also shares her experience visiting Baldwin Family Farms in North Carolina. Y’all know that I’m a sucker for passionate, sustainable farms, so it’s definitely worth the read. Also worth it? 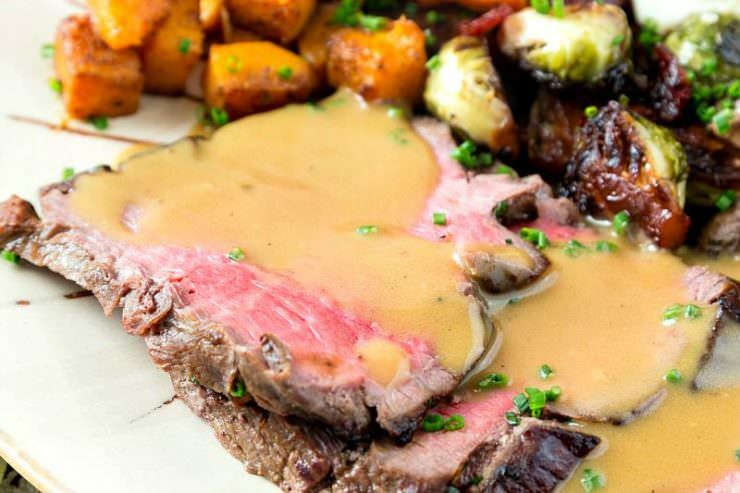 This lean London broil that is easy enough for a week day, and special enough to serve as the centerpiece of a holiday table. Ho-lee mo-lee! Susan/Girl in the Little Red Kitchen never disappoints when it comes do dinner time. 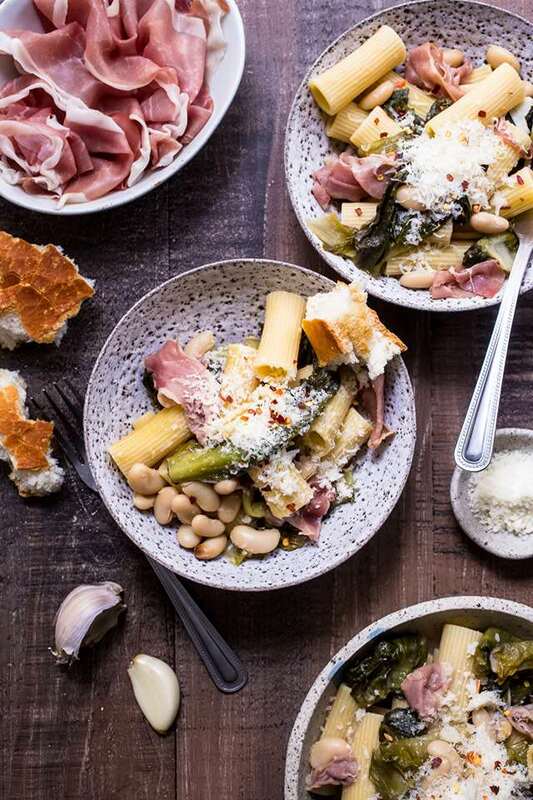 Her Rigatoni with Escarole, White Beans, and Proscuitto is nothing short of fabulous. It’s a restaurant quality dish that comes together in a flash. Trust me when I tell you that you will be so, SO glad that you spent the 30 minutes making this instead of zoning out on the couch watching So Sharp on the DVR and waiting for the pizza delivery guy to arrive. Oh, come ON. I can’t be the only one sucked into that show. I’m not even embarrassed that it’s on Lifetime because Coach Todd Sharp is hilarious. And while I don’t know Todd personally, I’m pretty sure that even he’d skip the pizza for a bowl of this dish. Don’t worry, Todd. We won’t tell Patrick. I loves me some Sarah something fierce, and it’s not just because we’re both swimming in testosterone in a house full of boys. Girlfriend and I are kindred when it comes to raising boys, love of sports, and dessert obsession. 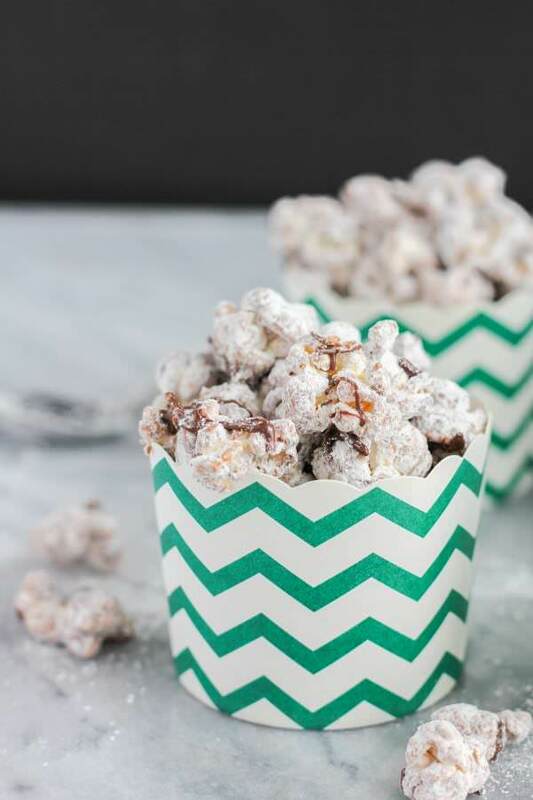 I love how whimsically fun and easy that her Puppy Chow Popcorn is to make. I substitute my favorite sunflower seed butter for the peanut butter in the recipe and it’s a super addictive–in a good way. Just doooooo eeeeeeeet! Cheryl’s back to cap off the week with her Restaurant Style Bloody Mary. Girlfriend survived Hurricane Irma with minimal damage, so she’s totally entitled to a cocktail. Being one to take her craft very seriously, she makes the tomato base from scratch for a fresher, brighter flavor with plenty of horseradish. 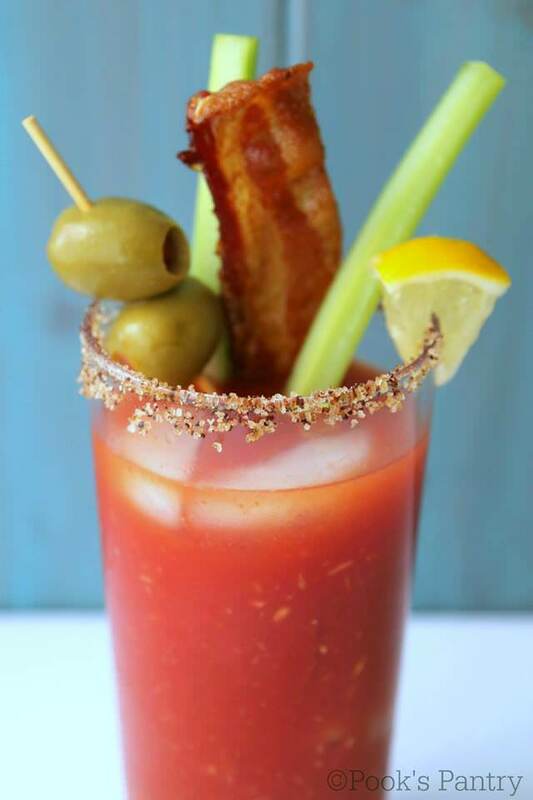 Then she garnishes the entire affair with celery, crisp bacon, lemon, olives, pepperoncini, pickled beans, and a cherry tomato. 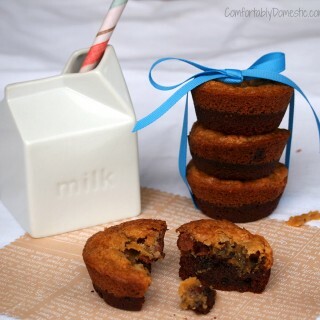 It’s like a drink and a snack all-in-one! Cheryl doesn’t mess around. I like that about her. 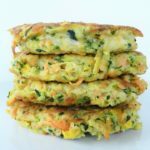 What’s your Must Try recipe from the Weekly Menu Plan Week 23? 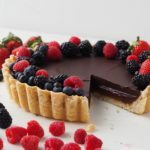 Do you have any recipe cravings that you’d like to see included in one of our weekly menu plans? Do tell!